Managing payroll records, and payroll itself, can be difficult. Staffing, budgeting, and overtime all need to be considered. There are stringent rules, that are always in flux, for restaurant employees. The ever-vigilant IRS and the State Department of Labor monitor tips declared by wait staff, federal unemployment taxes quarterly, and the weekly payroll deposits that cover FICA and withholding taxes. 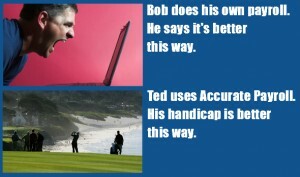 The penalties for non-compliance are steep and enforced quickly. 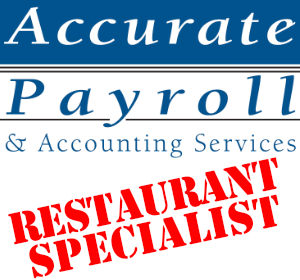 Accurate Payroll has proven to be not only an affordable solution, but a cost-saving tool for restaurants. Contact us today for a free estimate. Simply send a message here, or call us at 831.626.8388. We look forward to speaking with you. Keep your job posts fresh longer. Find out which social media app is tops in your state. Use targeted training to upskill the talent of your workforce. Copyright 2018 by Accurate Payroll.